This year, with the Lenovo x61's that we've been issuing to teachers, we tried a different wireless device. Purchased in bulk and at a discount (from what I've been told), the Atlona USB wireless adapters seemed promising when I came on board to help train teachers. They were simple to use, did not require bulky software, and allowed for both portait and landscape modes with ease. Unfortunately, about 3 months in, I've had to answer many calls on the stability of the devices. Often, this involves a simple power cycle or adapter reset at the base of the unit. Unfortunately, for those that have their receiver units connected to ceiling mounted projectors, this usually involves climbing on a chair, table, or worse, calling me for a ladder. Needless to say, this has been a growing inconvenience for teachers. The third option involves native USB adaptors for Epson wireless ready projectors. Now, we only have a few of these purchased, and I went ahead and recommended the replacement of a ceiling mounted projector in a classroom that frequently had "dongle-itis" (the need for a receiver reset). Despite being native to the device, I still had a lot of difficulty getting the Lenovo to cooperate consistently with the projector. I suspected that this had a lot to do with the bundled software that Lenovo included. Thus, I removed "Access Connections", upgraded the wireless driver, and things seem to be better. 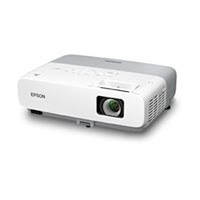 The user connects with the Epson "EMP NS Connection" software and can then connect wirelessly to the projector. Our pilot user still has a difficult time searching for the projector, or the connection will not work. However, with persistence, I'm told things end up working fine (so far). With all of the above in mind, I am now re-evaluating our currently placements of wireless connections, and I am still searching for the ideal solution. 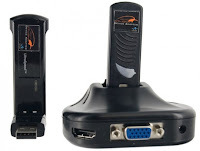 Moving forward, I am using the USB dongle/receiver combination with projectors on a cart, allowing for easy access to reset the device as needed. 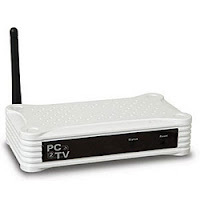 For ceiling projectors, I am using the PC2TV device for a more stable connection. Originally, we were unable to get the PC2TV software to work on the Lenovo's. However, after uninstalling the "Access Connections" software and upgrading the wireless driver, I was able to connect the newer laptops with ease. I have to say that in a week of frustrating moments, this was a nice breakthrough for me. I'd love to hear what other schools or users are doing or considering. We're always on the lookout for more reliable yet still economical devices.